You ‘re always busy. Which are the current projects you’re involved in? ‘Lunzproject’ with Tim Story and a cello- respectively viola-player playing the tracks live from the records ‘Lunz’ and ‘Inlandish’. ‘Cluster3’ after the end of 2010 to follow ‘Cluster’ that came to an end. Nucleus of ‘Cluster3’ is me and Onnen Bock but we want to include at least one other musician of the contry where we play live outside Germany / Austria. I’m busy to prepare my / our next Symposion / Festival open in the Alpes ( www.more-ohr-less.at ) that will happen in August next year. I’m collaborating with DJ-Darco from Belgium, composer,musician, filmmaker David Bickley from Ireland, composer,musician, film-maker Georg Taylor from the UK, composer, musician Alec Way from the US, composer, musician Yuko Matsuzaki from Japan, with Morgan Fisher ( former Mott The Hoople) and others. I’m busy working to get the things in my archive together, bringing order in a huge amount of tapes, cassettes, CDs etc. I’m doing projects with my wife, I’m doing housework, taking care twice a week of my grandchildren, I’m walking our dog twice a day etc. Are you satisfied with the feedback you got from fans and press for ‘Qua’ album? How was doing a Cluster album after so many years? This a chapter of history now, but it was fun to do because of the friends who were involved in the procedure of the production,especially because of the artistic input of our friend Tim Story. ‘Qua’ was, as we didn’t know at the time, Cluster’s swansong. I had to decide to stop working with Moebius after all those years. You have participated in countless albums. How difficult is to be always productive? It’s not difficult at all, because most of the productions came along by accident and we did it either solo or with good friends under splendid circumstances, not treated by marketing reasons but guided by artistic aims. Many musicians say ‘a song it’s written on its own’.Do you agree with this? Which way do you write a song? Do you still have contact with Brian Eno? What memories do you have from the days you worked together? Of course I’m in contact with Brian, I keep very good memories of the time we worked and stayed once together. He got me into the spotlight of the world for my own solo-stuff. He was and still is a kind of mentor for me. Did you have a clear vision of what you wanted to do when you started for musical career or some things happened on the way? I have to hear almost all the time my own music because of all those projects I mention above. Holger Czukay played bass with Cluster for some period. 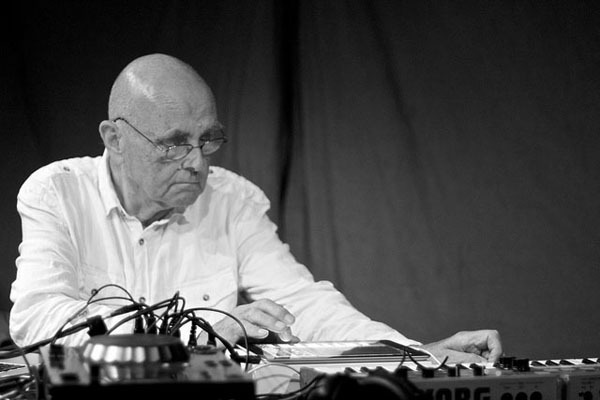 Did you like his music with Can and in general what is known as ‘Krautrock’ (Neu!, Can, Popol Vuh, Tangrine Dream, Guru Guru)? Holger is a good friend and of course I like very much what he and Can did at the time. But I don’t have anything to do with the term Krautrock even so the media say we were Krautrockers (I guess at least in Harmonia we were, but not at all in Cluster ). What memories do you have from Greece? Send a message to your Greek fans. I visited already : Lefkas that was like a paradise at the time ( in 1978). I was in Zakynthos ( much more tourism ) and in Athens. I love Greece a lot and wished I could be there more often with my wife and grandchildren. I’m working together with Greek artist Nikos Arvanitis, I hope once in the next future we’ll be able do some work wherever possible in your country. 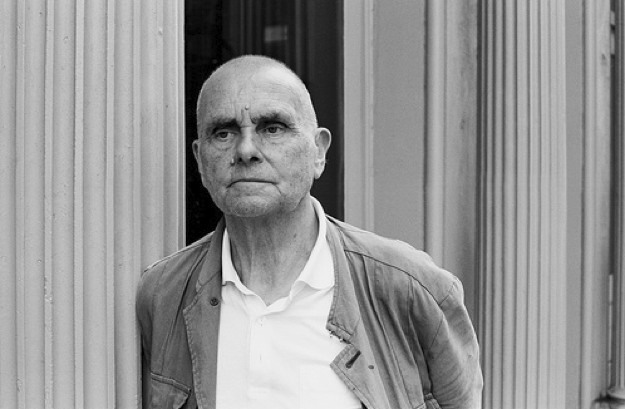 Special thanks to Hans-Joachim Roedelius for the great answers and his very quick reply!